This is where all the cool girls hang out. Due to its high traffic, this corner gets dirty quick. It’s a backyard chicken keeper’s worst nightmare. For the first month, it was totally fine. Then one hot, muggy day, after a heavy downpour, it arrived. I had to be standing literally at or in the coop, but the smell was undeniable. Of course, I freaked out. I worried about it getting worse, and possibly upsetting my neighbors. Trying to be helpful, Matt took a walk by the coop and said he couldn’t smell a thing. Could it be possible I imagined the whole thing? A couple days later, after another rain, Matt finally admitted he could smell a slight barnyard smell. As with any other dilemma, I consulted the Google Machine. 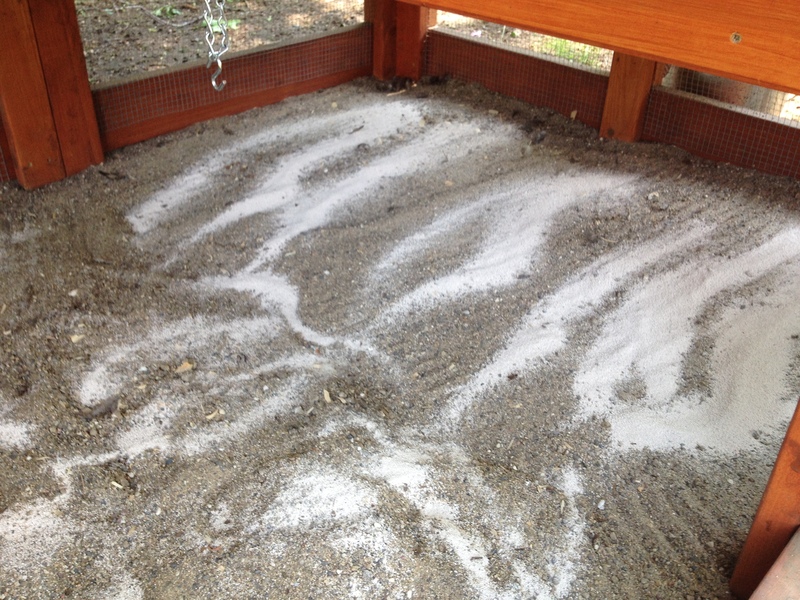 I learned about proper drainage, and using pelletized lime to combat smells. Then I discovered Sweet PDZ. 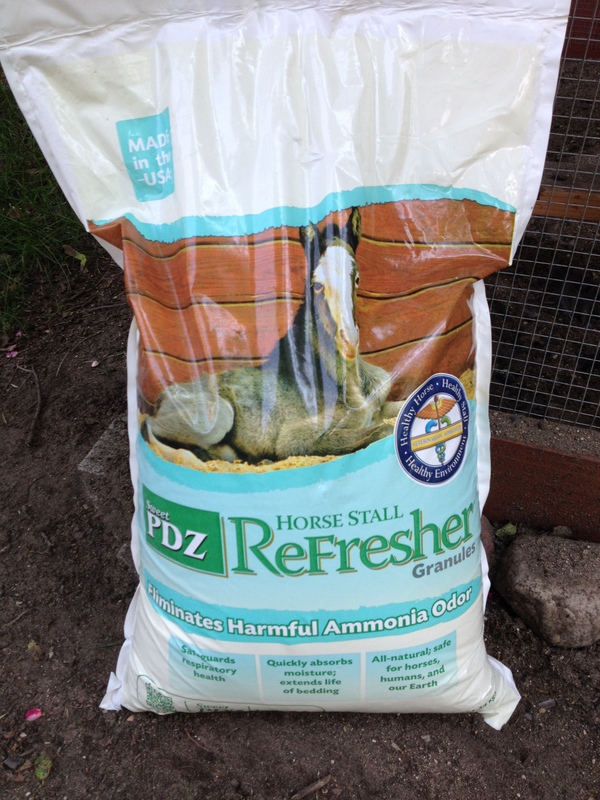 Marketed as a horse stall deodorizer, I found Sweet PDZ also is safe to use in chicken coops. It works by absorbing and neutralizing ammonia in the chicken waste. Apparently, other people had the same idea because I had trouble finding it in stock. We finally tracked down a bag at a Tractor Supply Co. about an hour’s drive away. By the time we returned, I was anxious to see if this stuff works. I had already gotten into a routine of scooping out the chicken poop on a daily basis. 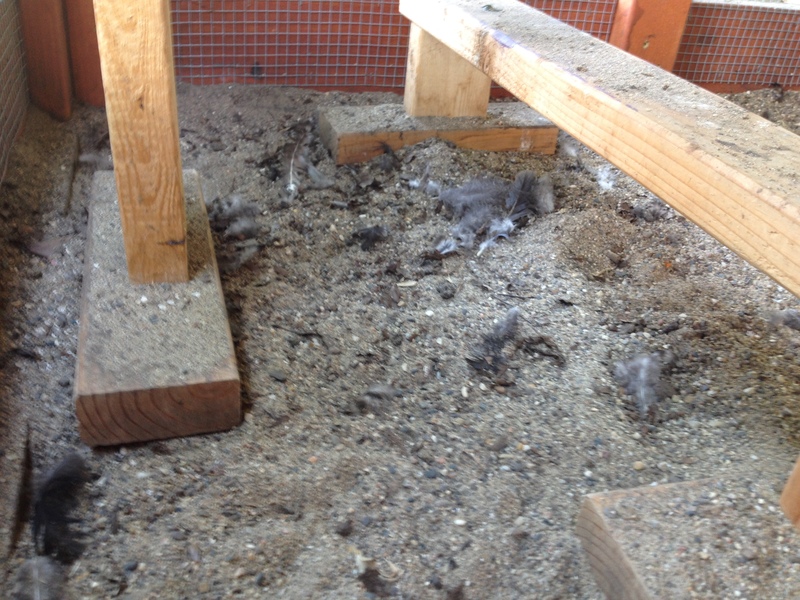 So I started with a light cleanup, including of the bazillion feathers the girls shed each week. The PDZ directions said to use 6 cups on the first application, then 1-3 cups for maintenance. So I used a coffee mug to spread six cups of the powder on top of the freshly cleaned coop sand. 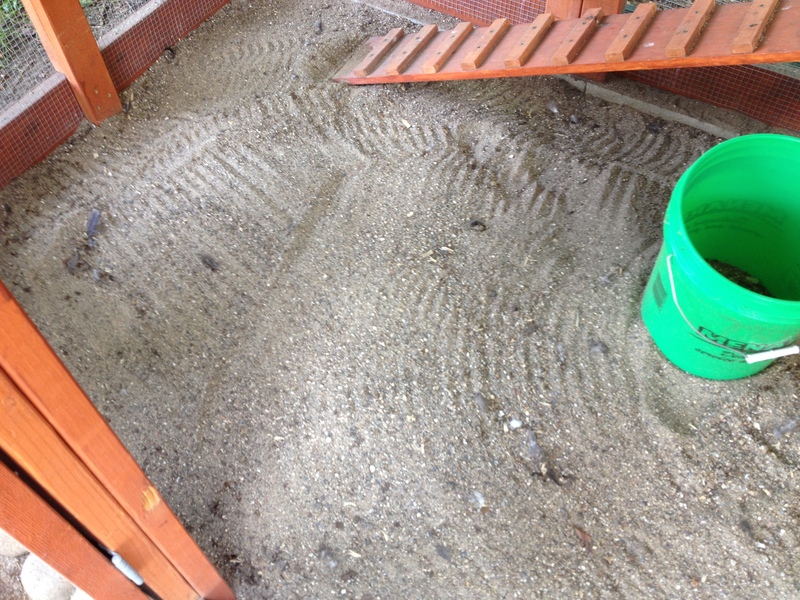 Next, I used a metal rake to mix it into the sand. By the next time I went out for a visit, I could tell a difference. But the big test was with the next rainstorm, which came a couple days later. 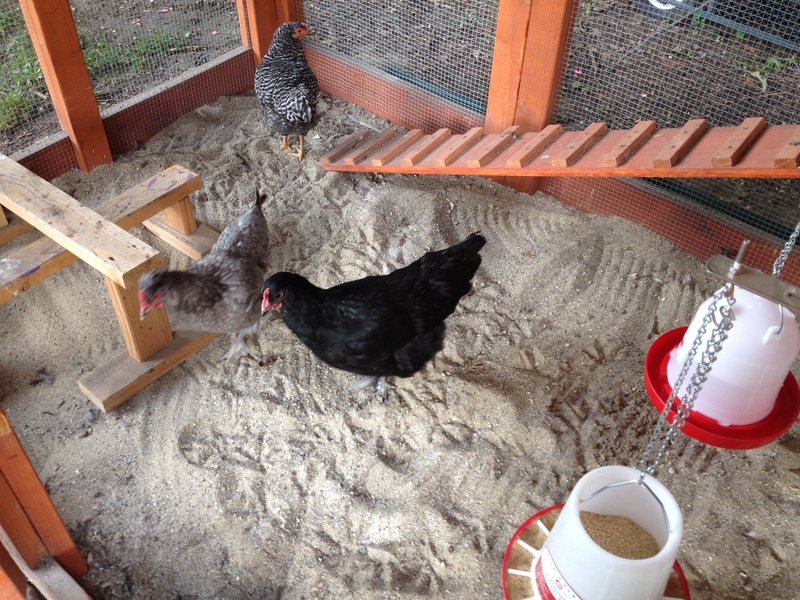 It was a huge storm, that splashed lots of water into the coop sand. And when I went out to take a big sniff? What are you talking about? Our poop smells like flowers!